Whether you’re a designer who’s been tasked with the challenge of designing a postcard for a mailing campaign, or you’re the business owner who wants some creative input in the design, these tips are for you! If you’re going to use a photograph on the visual side of your postcard it’s absolutely vital that the photo stands out. Often, it pays to invest in a high-quality image rather than taking your own photos. You can find a brilliant variety of professional photos from many online sources. Sometimes a professional photo bought from an online source can be a better way to go. Choose something bold and striking rather than something that’s going to fade into the background. Just because one photo is more relevant to the offer or your company, doesn’t make it right for a postcard campaign. Try thinking outside the box; if you sell real estate could you use a dog and kennel or even a hot air balloon to creatively deliver the same message? Which brings us on to our next point…. To grab immediate attention you need something that’s going to create an emotional response. Does the design or imagery do this successfully? It doesn’t matter what that emotional response is (within reason) as long as it fits with your message and gets their attention! It could be humour, it could be excitement or even empathy. We can all think of an advert that uses a ‘cute’ animal such as a puppy or kitten. The very reason for this is to create that emotional connection; no one can resist looking at a puppy! If you’re going to include wording on the image side of the postcard, keep it very short and simple. It’s about finding the right balance; you don’t want to reduce the impact of the message by reducing the words, but you also don’t want to jeopardize that immediate attention. There should only be one central message, even if you have several offers you want to shout about. A postcard does not leave a lot of space for providing buckets of information. Instead, try to choose one central theme or offer and stick to this. All that hard work will be for nothing if you don’t work with a high-quality printing company. It’s useful to know what type of material the postcard will be printed on and what finish will be applied. This can make all the difference to colors within the design and the overall quality of any photos used. Printing on paper will appear different to seeing those same images on a screen. A 96dpi image will look fine on the screen; however, it can look grainy when printed. Always try to use high-resolution images (300 dpi+) when possible for printing. With a color digital postcard that goes in the mail, it is essential that it is UV coated. This is a plastic coating that protects the card and gives it a high-quality professional feel. If cards are not coated they often get scuffed in the mail leaving unprofessional and unattractive streak marks. Zairmail offers UV coating at no extra charge. 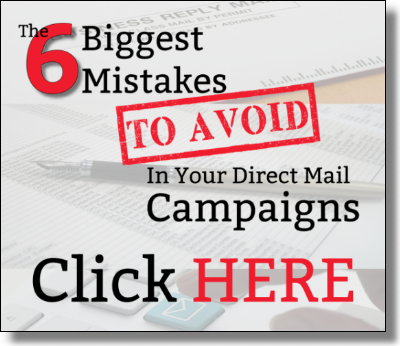 Before investing in a mailing campaign, run your design by some unsuspecting participants. Lay out your postcard amongst several other designs (either from competitors or from earlier options in the design process) and ask individuals which one they connect with the most. This sounds very simple, but often designs are only seen by the designer and the business owner before being mailed out. At Zairmail, we like to keep everything streamlined, so we offer in-house postcard design services to our clients as well as customizable templates. This means we can handle everything from design, printing and mailing! Alternatively, if you’ve worked with your own designer already, you can upload your design directly into our system. Zairmail also provides a free tracking service for your postcards, so you can tell exactly when they are delivered. Finally, if you don’t have your own mailing list but are keen to try direct mail campaigns, we’ve taken the hassle out of that too. You can purchase a targeted consumer or business list directly from us using our online list targeting. Wilson Zehr is a Direct Mail Leader, Direct Marketing Specialist, and CEO of Cendix (www.cendix.com), the leading provider of Web-to-print solutions that increase sales both online and offline. He is also the founder of Zairmail (www.zairmail.com), the company responsible for many "industry firsts" in direct mail.